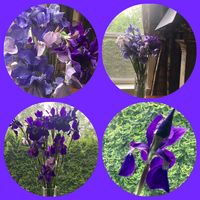 My favorite - "THe Iris"
My favorite - in season yard flower is "The Iris" and the "The Hydrangea"
(is the purple that's a catch)?? 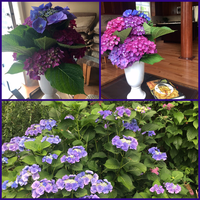 I love hydrangeas, any colour but tend to by white or blue as a houseplant then put them out in the garden! I love Lavender too, and Lilac and Campanula. We had purple irises in my garden when I was a kid. They were really healthy too. After I moved to England, I brought some down. They exploded down here, and many of my friends now have theses scottish irises. I also have some yellow ones in my pond.